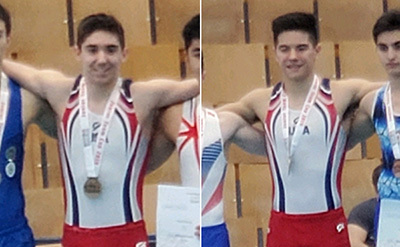 BERLIN, April 6, 2019 – Fuzzy Benas of Richmond, Texas/Enrich Gymnastics, and J.R. Chou of Cypress, Texas/Cypress Academy of Gymnastics, won the vault and pommel horse gold medals, respectively, on the final day of the 2019 International Junior Team Cup at Berlin’s Large Sports Hall of the Sportforum. 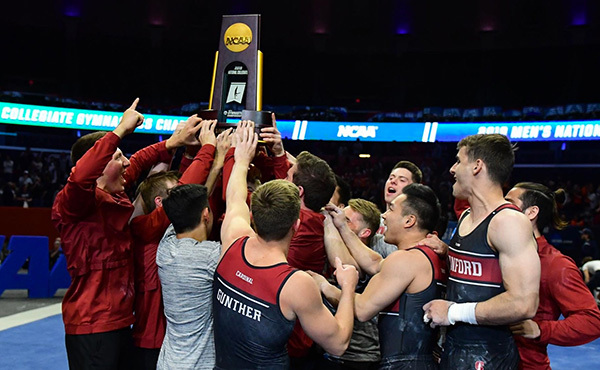 Benas also captured the still rings silver medal, and Isaiah Drake of Van Nuys, Calif./Gymnastics Olympica, and Colt Walker of Cedar Park, Texas/AcroTex Gymnastics, were the parallel bars and floor exercise bronze medalists, respectively. 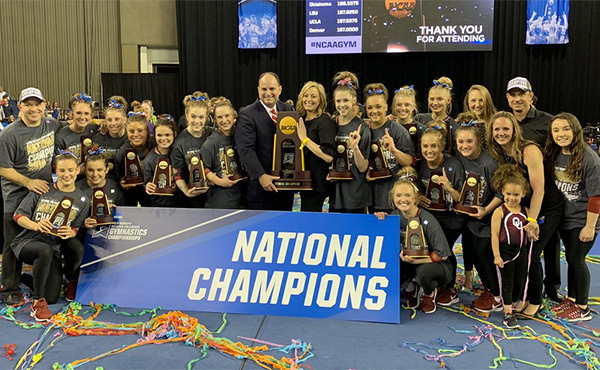 Benas won the vault title, scoring a 14.250. 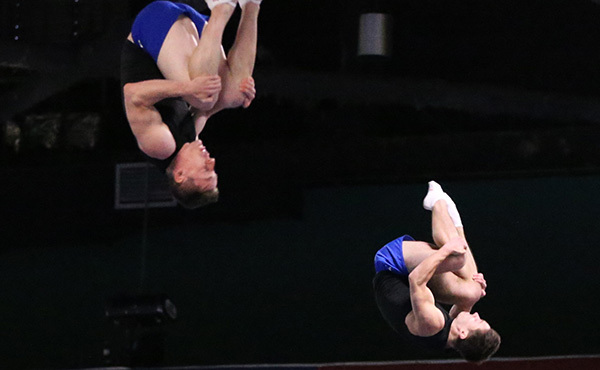 Italy’s Ares Federici and Great Britain’s Jasper Smith-Gordon battled for second and third, 14.112 to 14.012, respectively. For the still rings, Benas landed in second with his 13.250, just 0.05 behind Canada’s Felix Dolci’s 13.300. Brazil’s Diego Soares was third at 13.200. 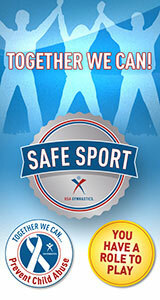 Chou’s 13.400 was the highest pommel horse mark, earning him the gold medal. 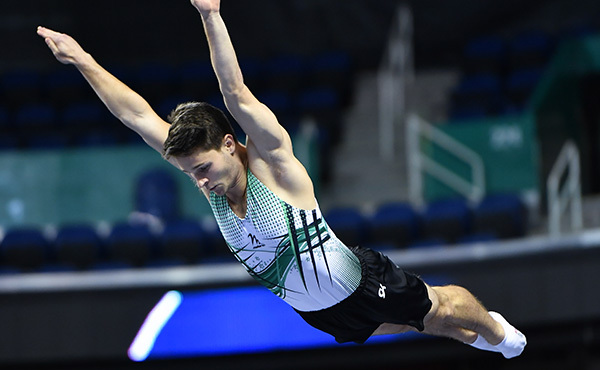 France’s Leo Saladino nabbed the silver at 12.925, and Azerbaijan’s Samad Mammadi rounded out the top three at 12.850. In the floor final, Walker posted a 13.400 for the bronze. Dolci and Soares both posted a 13.550 and tied for the title. Drake tied for third in the parallel bars final with France’s Lucas Desanges at 13.600. Soares grabbed the title at 13.925, followed by Romania’s Robert Burtanete in second (13.800). Drake finished in fifth place (11.675) in the horizontal bar final. Soares again took top honors with a 12.950. Italy’s Ivan Brunello and Kirill Gashkov of Russia tied for second (12.550). Yesterday, the U.S. 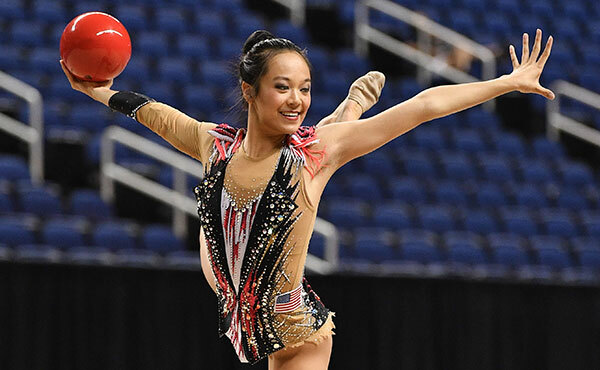 Team won the team gold, with Drake and Chou claiming the all-around silver and bronze medals, respectively.